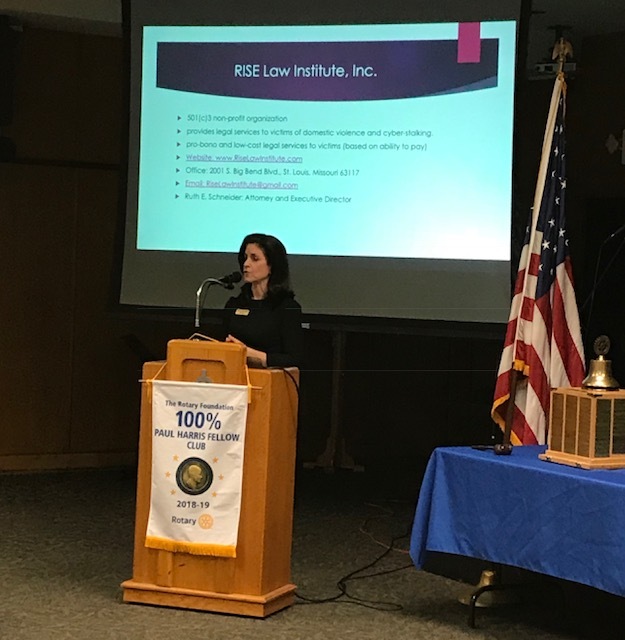 Our speaker today was Ruth Schneider from RISE Law Firm. This informative program explained the trends and risks in cyberbullying and stalking. Ms. Schneider's firm provides free and low-cost legal assistance to those experiencing this stress in their lives.